With blessings of his Holiness, Sri Sri Sri Tridandi Srimanarayana Ramanuja Chinna Jeeyar Swami Ji. The Mahilia Arogya Vikas Team of the twin cities along with the co-ordinator, Smt. 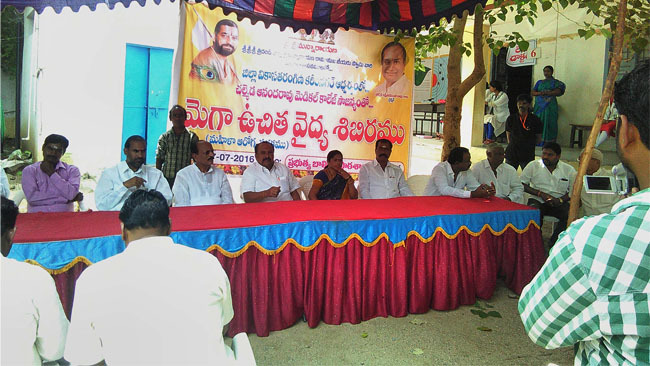 Suneetha Madiraju conducted a camp. 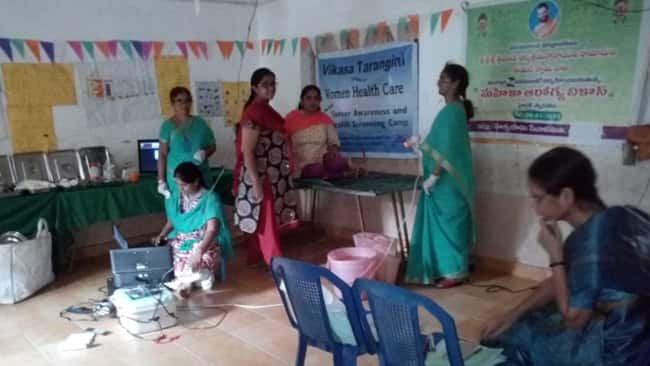 Survey conducted at Hidershakote Village, Trust Women’s & Girls, Golconda Hyderabad. A camp conducted for the occasion of Gandhi Jayanthi on 30.09.18 at Kasturi Bha Gandhi National Memorial Trust, Hidershakote village, Golconda. Visitor to the Camp Kasturi Bha Gandhi National Memorial Trusty & Members. Camp Organization Mahila Arogya Vikas Team. Mahila Arogya Vikas Members, Padma(7702230341) , Sujatha (9247210578), Usharani (9440536684), Padmasri (99491847780), along with the Co-ordinator Smt. Suneetha Madiraju assisted the camp.